As a writer, you likely have a pretty long list of fears. What if people don’t love your work? What if you don’t find your audience? What if your writing is riddled with typos? Interested in a way to improve your overall writing, grammar, and spelling skills? Add Grammar Girl to your weekly Podcast list. Each episode teaches listeners new grammar rules, as well as methods to improve their writing overall. It’s also just entertaining! Google Docs is a powerhouse in the editing and proofreading game. Not only is the site free and a great resource for collaboration, but it also offers a lot of tools that other sites lack. With Google Docs, you can access in integrated Thesaurus, diagrams, and a template gallery. And you can work with your files on or offline, so you can work on your project even on the go. Polish My Writing is an easy to use tool that offers a contextual spell check, a style check, and an intelligent grammar check. It uses artificial intelligence to compare your writing to millions of online samples in order to gain a better understanding of the context of the writing. You can also download a plug-in for WordPress (called “After the Deadline”) if you use the site for blogging. Proofreading is an ESSENTIAL part of the writing process. But human eyes can only catch so much, especially when those eyes have already looked at our novel what feels like a million times. You could probably recite full pages of your novel or screenplay in your sleep by now. Rather than try to find all the mistakes on your own, take advantage of these tools. They’ll make your life a lot less stressful! BIO: Anna Olinger is a freelance editor from Washington, DC. To learn more tips on freelance writing and social media follow Anna on Twitter and Linkedin. I personally use some of these tools daily, they are fantastic. I Would be glad to try Essays Capital and Polish My Writing. I also suggest you to try this plagiarism detector to be always sure your writing is 100% original and perfect. Anna, thanks for making proofreading and editing process easier. Some great tips here, thanks! I use Google Docs all the time. 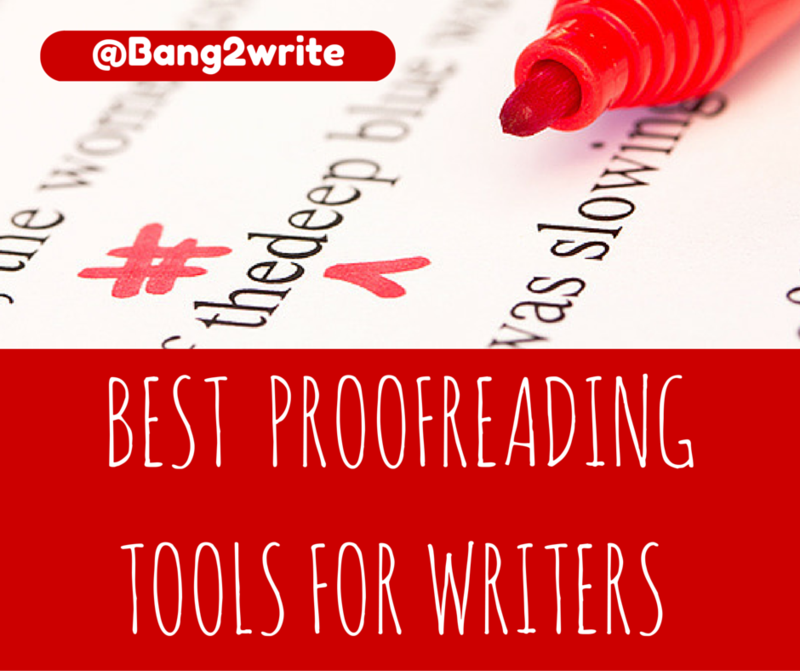 The lovely Leona Hinton just wrote a guest post on my blog you might find equally helpful: 10 Power Tools to Make You an Editing Wizard (http://goo.gl/6tUu5s). Thanks!